George Washington University students, faculty and staff celebrated the fifth anniversary of the Global Women’s Institute with a performance of the original production “This is My Calling: Women’s Journeys into Activism,” written by Leslie Jacobson, a theatre professor and GWI-affiliated faculty member. The event also included a panel conversation about GWI’s work with Director Mary Ellsberg, Dr, Steven Knapp and former president of Students Against Sexual Assault and ESIA student Kirsten Dimovitz. The conversation was moderated by Marketplace radio reporter Andrea Seabrook. 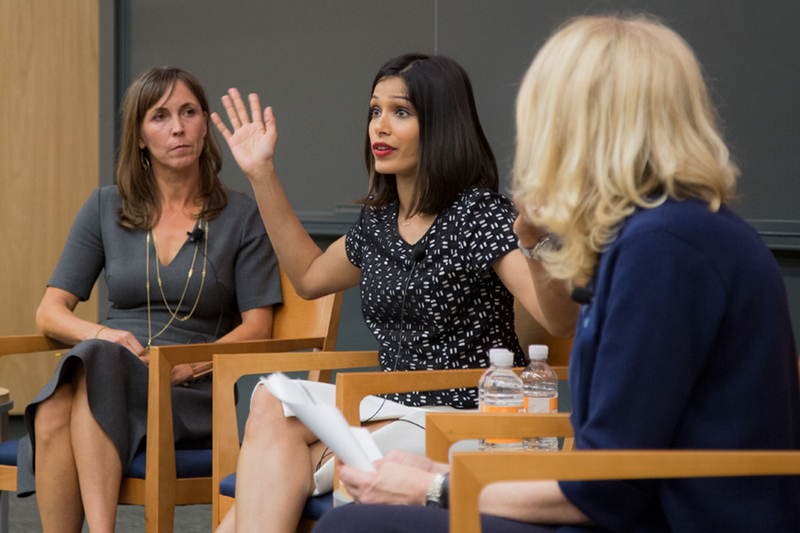 "Girls Rising" producer Martha Adams (l) and actor Freida Pinto (c) take questions from Dean Lynn Goldman during an October 2015 event cosponsored by GW SPH. 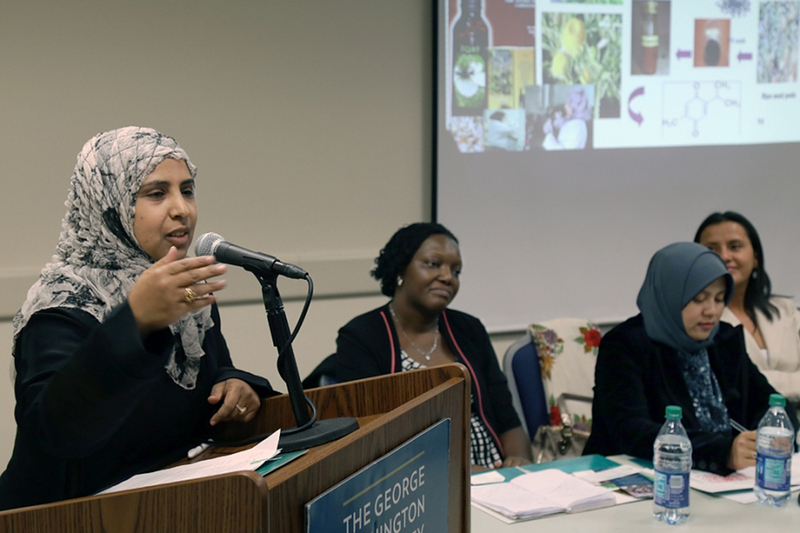 Ghanya Naji Mohammed Al-Naqeb speaks at the Marvin Center in February 2016 joined by other winners of Early Career Award for Women in Science. 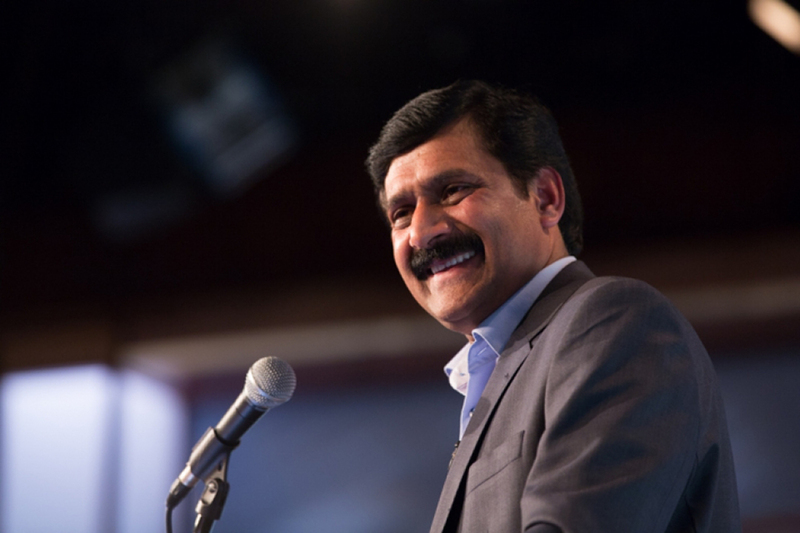 Ziauddin Yousafzai, father of Malala Yousafzai, addresses an audience in Jack Morton Auditorium in November 2014 as GWI launces 'I Am Malala' Resource Guide for Educators. 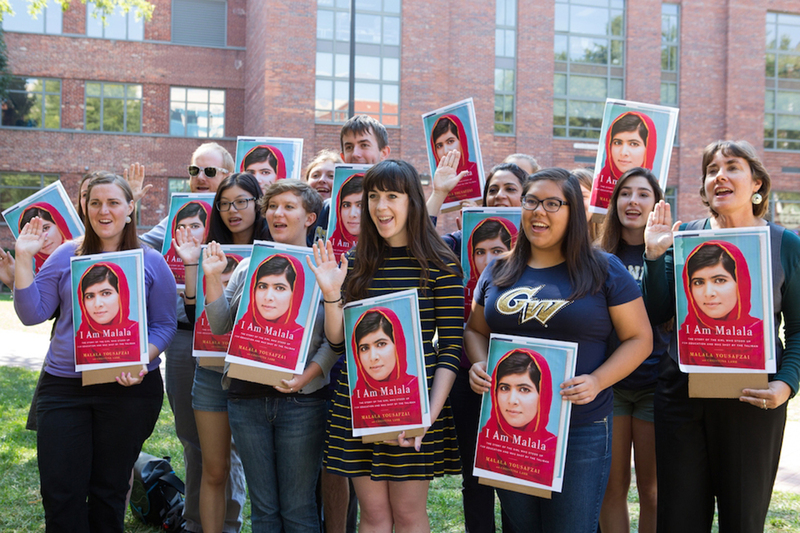 GW students, faculty and staff hold their hands up in solidarity with Nobel Prize recipient Malala Yousafzai in University Yard in May 2015. 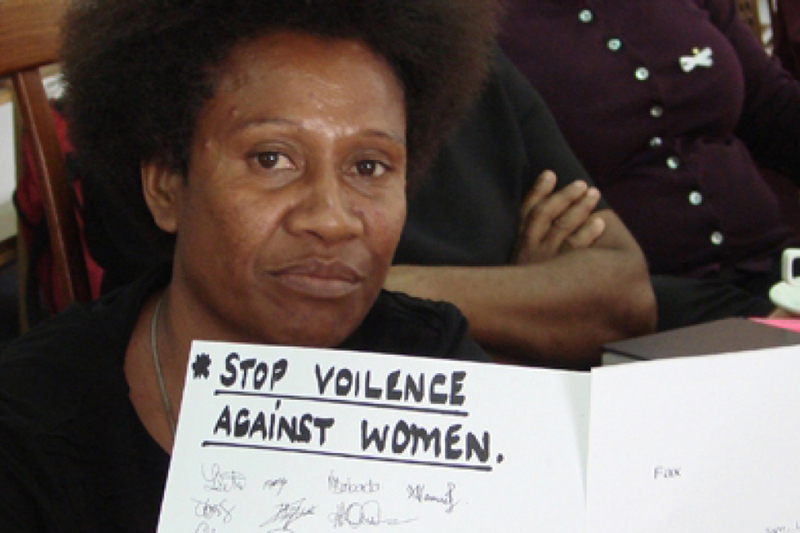 GWI worked with the World Bank in presenting a paper at the Sexual Violence Research Initiative in October 2013 in Thailand. 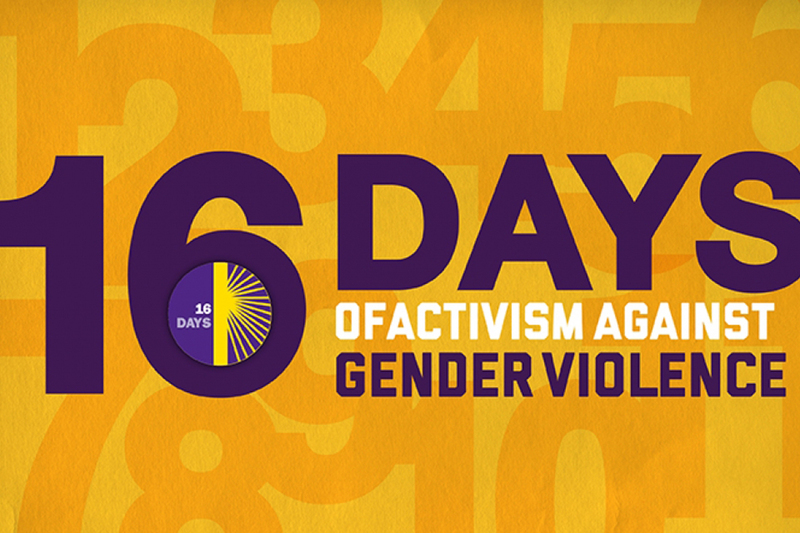 In December 2014, GWI researchers discussed their findings of gaps in violence prevention research as part of the "16 Days of Activism Against Gender Violence" global campaign. 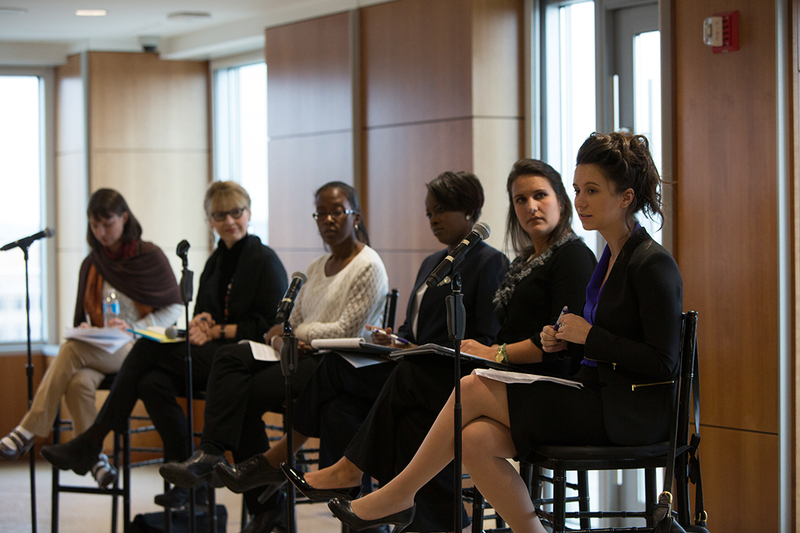 Lara Powers (far right) of the National Human Trafficking Resource Center answers questions during a GWI panel in December 2013 on human trafficking. 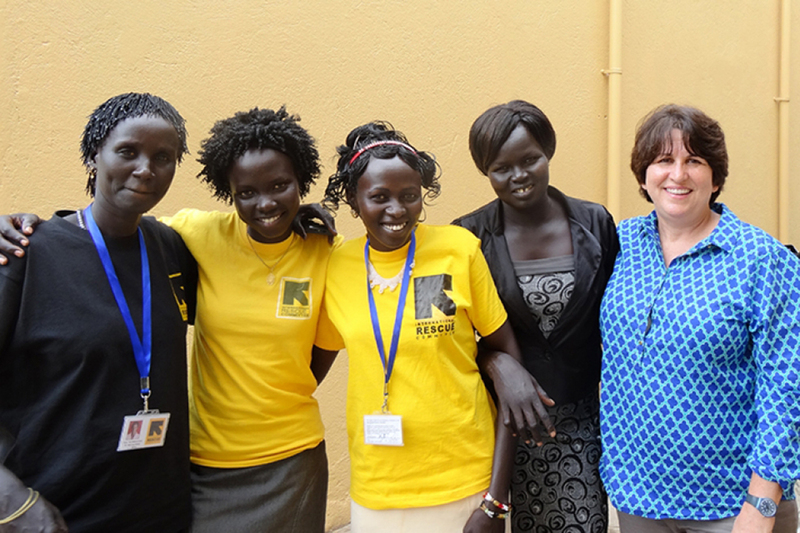 GWI Director Mary Ellsberg traveled to South Sudan in 2014 as part of GWI research on gender-based violence in that country.